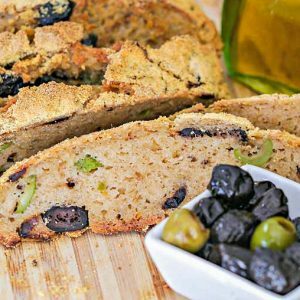 You will love this gluten-free rustic bread recipe for its taste and simplicity. 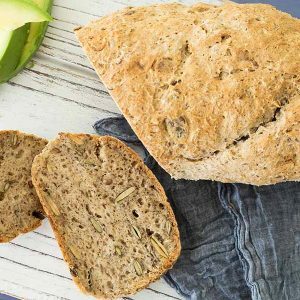 This rustic bread is made with chia seeds and buckwheat flour which give this delicious bread crispy crust and rustic German rye flavour. In a large bowl mix chia seeds, flour and sea salt. Add yeast mixture and olive oil into dry ingredients and with a spatula mix together until you have a bread dough consistency. Using a sharp knife make 4 slices across the top about ¼ inch deep and place the bread in a pre-heated oven on the middle rack. Bake for 40 – 45 minutes or until the crust becomes golden brown. Remove bread from the pan and place on a wire rack to cool. Enjoy!